Chinese tea Shuysyan name is spelled like this: 水仙. A translated as "daffodil". This is one of the most popular teas in China. The Chinese themselves know this tea, love, and often even idolize. And, believe me, is for what! Shuysyan tea grown and processed tea farmers on plantations located around the city of Wuyi. Shuysyan - it's incredibly fragrant tea. Its flavor, it just - Ogogo! Strong. Sure. Understandable. Taste - a harmonious and balanced. A little tart, a little slastinki little "cherry" little "apples", a bit of smoke and pine needles. About the smoke - I'm not random. 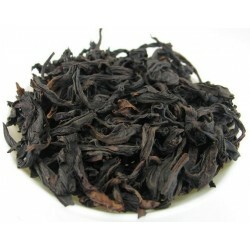 This tea, as well as many oolong, roasted on the wood. Shuysyan honestly stand five or six infusions. After the sixth, he begins to "slow down". If you feel that tea slows down more and more - stop. Do not need to drink. Brew better new. This tea is worthy to drink only the finest tea leaves.